When Apple introduced the first Power Mac G4 models at the end of August 1999, it was a big step forward in processing power. Even though the graphite G4 Power Macs that replaced the Blueberry Power Mac G3 was only 50 MHz faster, the G4's secret sauce was the AltiVec velocity engine, which gave it extra processing power for certain types of work such as processing video. The G4 was so powerful that is was originally classified as a supercomputer and under trade restriction to certain nations. 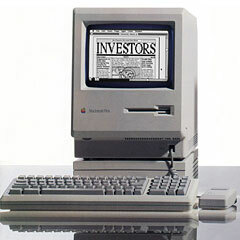 Today we celebrate the introduction of the last Power Mac capable of booting the Classic Mac OS. 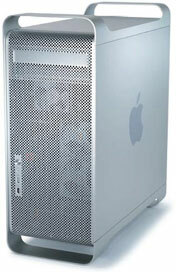 The Mirrored Drive Door Power Mac G4 came in three dual-processor configurations - 867 MHz with an Nvidia GeForce 4MX video card, and 1.0 and 1.25 GHz with ATI Radeon 9000 Pro graphics. Unlike the Digital Audio and Quicksilver models that preceded it, the MDD supports up to 2 GB of memory, although the Classic Mac OS was limited to 1.5 GB, the maximum for the earlier models. The two faster MDDs were the first Macs to use a 167 MHz memory bus, a step up from the 133 MHz bus on DA, Quicksilver, and the 867 MHz MDD. Because of the faster system bus, very few processor upgrades were ever made for the faster MDDs. For those who needed to boot into Mac OS 9 to run a specific piece of software or use a particular PCI card or peripheral not compatible with Mac OS X or its Classic Mode, these were the end of the line - and the best Classic Mac OS models ever. With 4 PCI slots, 2 optical drive bays, 2 FireWire ports, and 2 USB ports (alas, USB 1.1 instead of the faster 2.0), it was very flexible. Introduced on August 13, 2002, the MDD Power Mac wasn't just the last Mac able to boot Mac OS 9.2.2, it also had a solid future and would eventually be able to run Mac OS X 10.5 Leopard - the last version of Mac OS X to support PowerPC hardware. It wasn't "left behind" until OS X 10.6 Snow Leopard, the first Intel-only version of OS X, arrived in August 2009 - seven years after it had been introduced. Since I rarely boot into Mac OS 9, I could theoretically migrate to a dual-processor or dual-core Power Mac G5 for Tiger, and since the bridge machine doesn't really need much processing power, I could probably replace it with a small, quiet Mac mini (G4 or Intel) running Leopard, but that takes money - and these 10-year-old Power Macs are still doing the job for me. Austin Leeds (Apple Everywhere): Isn't one of your MDDs the one that refuses to boot on occasion, Dan? Dan Knight: Yes, but if I let it sit unplugged for a week, it always comes back. Really thinking of going to a Mac mini bridge machine, as my office gets hot with two G4 Power Macs running. I have a dual 1.6 GHz upgraded Digital Audio Power Mac G4 for times when the 1.0 GHz MDD acts up. Haha, I imagine it does get hot. The music room at DMACC had a pair of DA G4s that helped heat the room in the winter. The lone G5 quad that replaced them wasn't even that hot! Allison Payne (The Budget Mac): We just retired our last PowerMac G4 MDD running as a server at work, and my husband just retired his iMac G4 at home. It's sad to move on from such wonderful - and beautiful - workhorses. I'll never count them out as useful machines, though, as long as they'll run Tiger or some flavor of Linux and support basic web browsing. I'm still waiting for the day when I have enough free time to figure out if it's possible to chain them into a Beowulf cluster or to set them up as a fleet of machines for distributed computing. Power consumption starts to become a consideration with projects like that, though. Alan Zisman (Zis Mac): In 1997, I wrote about a local guy who'd run a BBS out of his home for 20 years - at the time he had a home-brew network of 24 PC-clones; they generated enough heat that he used them to heat the house during the winter. Dan Bashur (Apple, Tech, and Gaming): The MDD G4 moved to onboard FireWire 800 and AirPort Extreme in January 2003, and these systems do not boot into OS 9 and must utilize the Classic Environment. 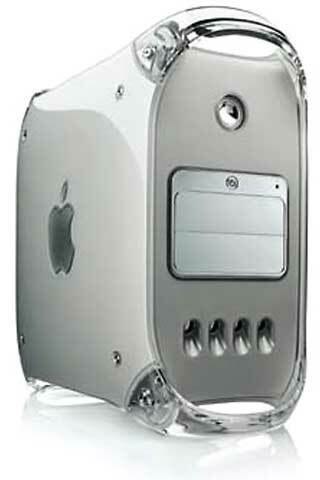 Later that year, after many calls for Apple to continue boot support for OS 9, Apple provided just one last model in June 2003 when the first Power Mac G5s were introduced - a single CPU 1.25 GHz version based on the logic board from the 2002 models (no AirPort Extreme or FireWire 800 on this model). It was too bad that Apple didn't give the very last OS 9 capable G4 some extra muscle, such as a dual 1.42 GHz processor like the top-of-the-line January 2003 model (or something even better), but alas it was the end of an era. It was still a nice gesture for Apple to release one last model that booted into OS 9 that could be purchased brand new in an age when OS X had already existed for more than two years.I have a dual 1.25 GHz FireWire 800 MDD that I was given kindly for the cost of shipping by a fan of Low End Mac who was not using it and wanted to see it get some extra mileage. To that fan - don't worry, I haven't forgotten about you! This has been a project on the back burner for a while, but the eventual goal is to outfit this beast as a media server running Leopard, a Radeon 9800 or Geforce 7800 GT, a PCI SATA card, which will allow me to stuff it with several large capacity 7200 RPM 3.5" SATA drives that I can use to dump years and years of family photos and videos onto, along with digital backups of my own personal movie collection that I can serve to a PlayStation 3 courtesy of Nullriver MediaLink, which can be accessed from afar using Sony's Remote Play Software with a PSP (which I own) or PlayStation Vita as long as it is connected to the same network as my PS3. To summarize, these MDD G4s, now a decade old (save for the 9-year-old 2003 models) have become nearly beyond low-end, but they are still chugging along just fine, especially when you have some upgrades, max out RAM, and use older applications that work perfectly fine with it still today. I would venture to say that these Macs may get yet another 3-5 years of useful and satisfying performance for those who have fully optimized them and don't mind running older browsers and software, which is truly a marvel and something Apple doesn't expect us to do at all anymore with modern machines that have become increasingly "disposable." Dan Knight: I really couldn't put it much better than that, Dan. It would be nice to have a dual-core last generation Power Mac G5 someday to nearly double power from my dual 1.25 GHz MDD and let me use those affordable, high capacity SATA drives and have built-in USB 2.0 while still having access to Classic Mode in Tiger, but "nice" doesn't mean I have any complaints about the old workhorses. And they do keep my office toasty in cool weather. Based on my experiences with various Power Mac G4 models, for real work using OS X, I would specifically choose a dual processor model, as OS X runs far more smoothly with two or more processors, and I would avoid the 450-533 MHz models except as servers, where processing power isn't as big a concern. 800 MHz and up really can do the job. Joe Rivera (Mac Fallout Shelter): I just picked up a lot of macs including a last gen Dual 1 GHz Quicksilver and know what you mean with the upgrades needed. I already added a ATI 9000 Pro, USB2 card and will try to make it my production machine. I will be downgrading from my early 2008 MBP to this and a iMac G5. I will be writing a bit more now that I have the means and space for my collection.